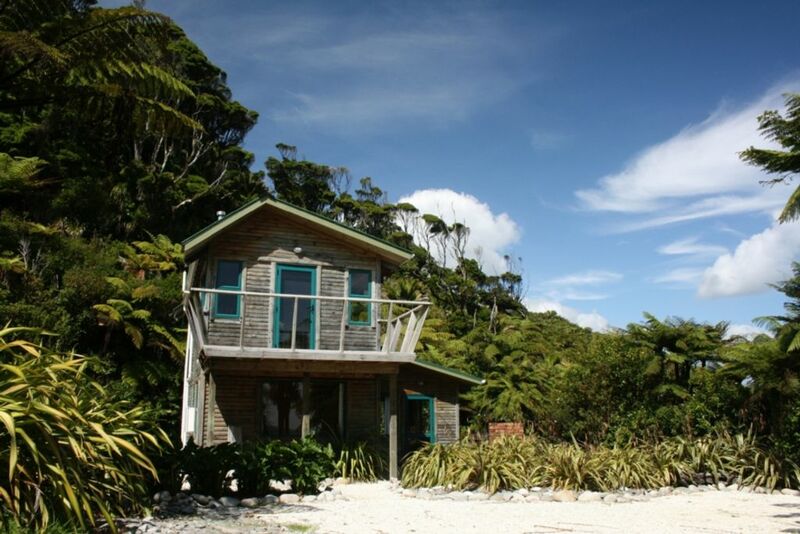 A two storey 'woodsy' beachfront home on an elevated site from which views of the Coast, Nikau and Rata forest can be enjoyed in the open plan living/kitchen area. The balcony puts you right amongst the natural scenery as does the courtyard with its open fire place for outdoor leisure. Our one-thousand acre property is set in surroundings where Aotearoa is as it used to be—lush, unspoiled and natural. A slice of paradise. Gentle Annie is an ideal place to get off the beaten track to experience New Zealand's untamed wilderness and truly appreciate the South Island’s West Coast. Bounded by the Tasman Sea, the mighty Mokihinui River and beautiful ancient bush, our seaside accommodation is a peaceful place to relax and enjoy time away from the busy life and provides a great base to explore our stunning region. Centrally located in the Northern West Coast, Gentle Annie is near places of interest where day trips will get you north to the magnificent Oparara Limestone Arches, the Kahurangi National Park, the Heaphy Track and south to the Chasm Creek and Charming Creek Walkways, Punakaiki Pancake Rocks, the Denniston Plateau and the Cape Foulwind Seal Colony. We are on the doorstep of the new Old Ghost Road mountain-biking track in Seddonville! In any season, enjoy time at Gentle Annie. It will nourish your soul and awaken your senses. Linen is available for hire at $20 per bed per stay - please request when booking. There is a large selection of books available at the Cowshed Cafe for you to read during your stay. There is a young children's play area at the Cowshed Cafe (indoors). We had a great time staying there. It was clean and tidy with everything one would want in a place to stay. The location was ideal - within a minute's walk to the beach. The gas heating and cooking made a real difference, the place was warm throughout our stay. We managed to catch a Kahawhai at the river mouth within 15mins of arriving - that was the perfect start to our break. Gorgeous location. Loved the fresh flowers on arrival and all the beach kitsch inside....shells, rocks ... really cool Fantanstic gas fire.Have recommended Cabbage tree cottage to friends . Want to come back in summer but winter still cool .Local walks outstanding....charming creek walk plus beach walk within meters. Very special place. Thank you for sharing. We enjoyed our stay at Cabbage Tree and the cottage was just what we wanted. The location is great with nothing but the sound of surf to lull us to sleep at night. The beach was so close and perfectly suited to us beachcombers. Only 10km from the Old Ghost Road Trailhead in Seddonville. Enjoy short trips to Mokihinui, Seddonville, Little Wanganui, Karamea, Denniston, Westport and Cape Foulwind, all from Gentle Annie!